Gerberas are also known as Gerberas Daisies and belongs to the family of Daisies. They are light-hearted flowers with a simple charm that spellbinds everyone. 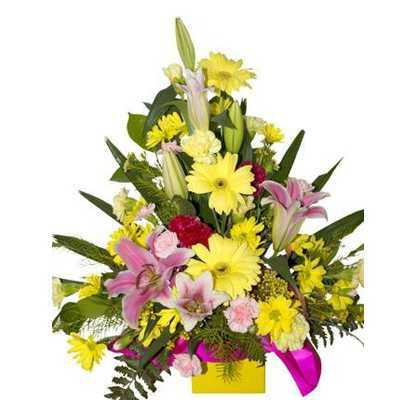 If you are planning to surprise your loved ones with something special, then this exotic arrangement of gerberas and lilies will make for the perfect gift.